Hi! My name is Teresa, a/k/a Reeserosia or Reese on the chat sites, on aol, or icq! I have been married to Clyde for almost five years and we have two children. 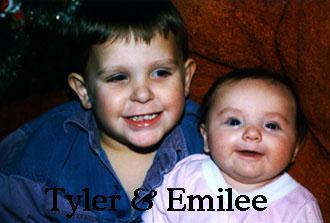 Tyler is 4 years old and Emilee is 7 months old.